 Create advanced sequences to modulate and synchronise your audio hardware and software parameters from within a DAW host application. 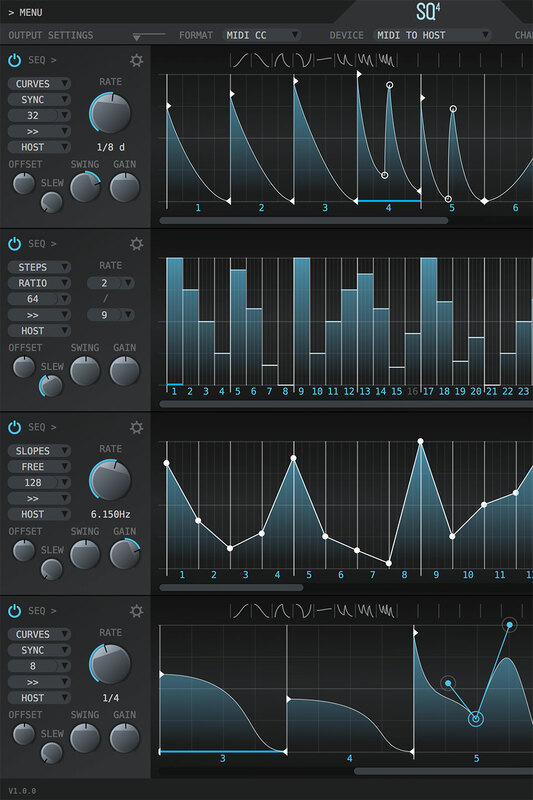 To create unique sequenced modulation patterns, 4 sequences with up to 128 steps per sequence are at your disposal. The SQ4 contains variable synchronisation options, which can be set from free running to hard sync. Note events can retrigger a sequence and several running directions can be selected. Swing, slew limiting, phase offset and gain, can be adjusted to accommodate modulations for the receiving device. Each step can be designed individually to create unique modulation signals and steps can be combined to allow long and smooth curves over multiple steps. Quick adjustable step sequences can be used to create modulations with steep jumps. 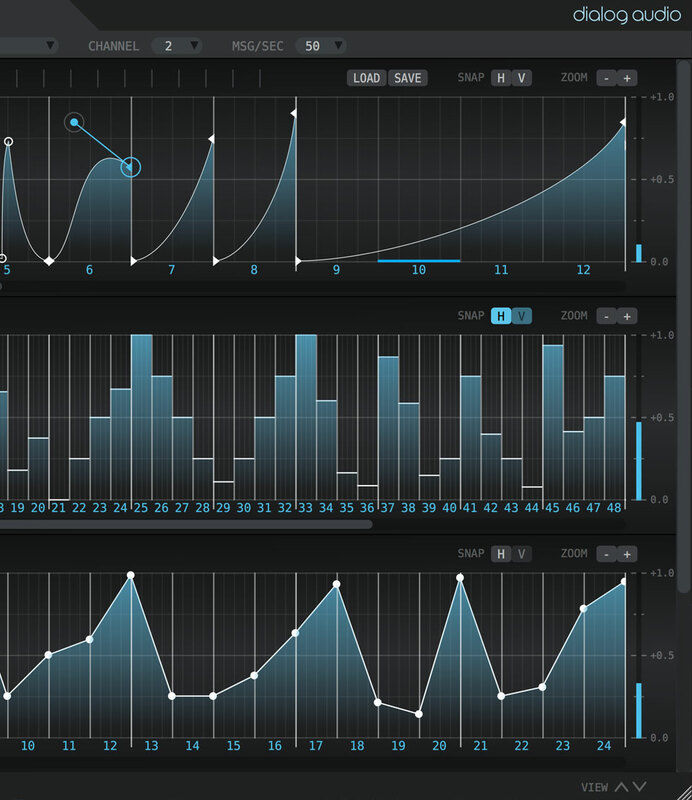 Slope sequences are suitable for quick and rough modulations. 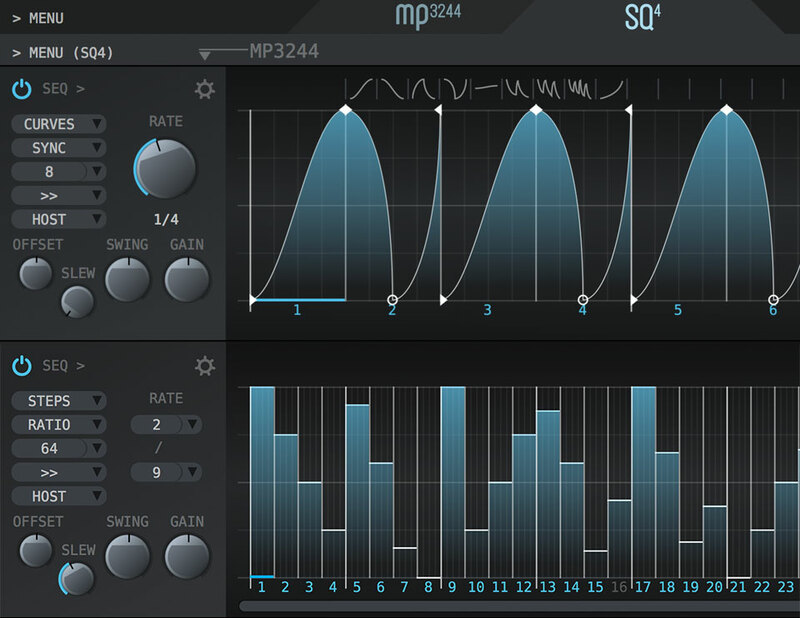 The SQ4 can be loaded within the MP3244, which provides extended modulation possibilities. 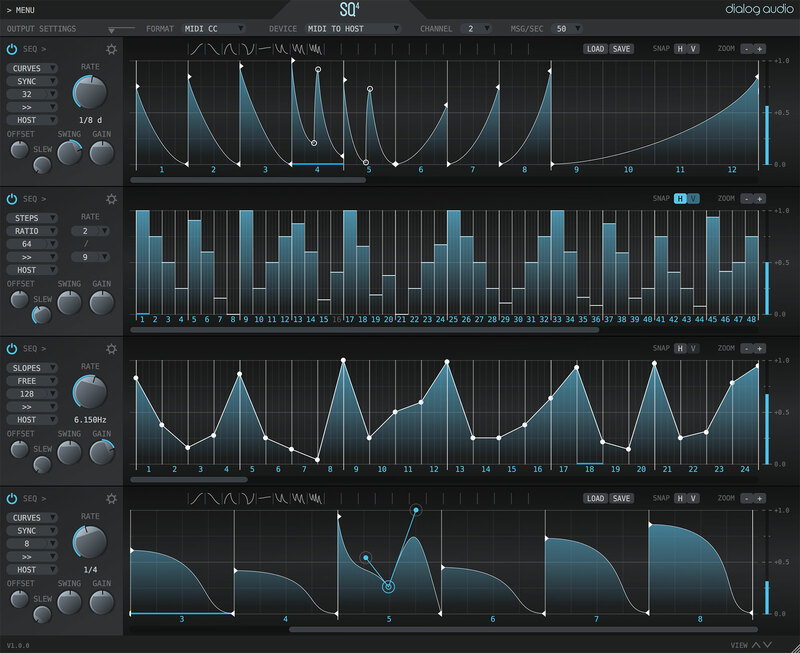 Naturally, any in-host applications which lack of extensive parameter modulation, can be controlled.